JUST OUT: A beautiful book, full of history and culture. A country in the making, just 100years ago, that is only 2 generations past. FRVIENT DE PARAITRE : Un beau livre, rempli d'histoire et de culture. La naissance d'un pays, il y a à peine 100 ans, soit seulement deux générations. 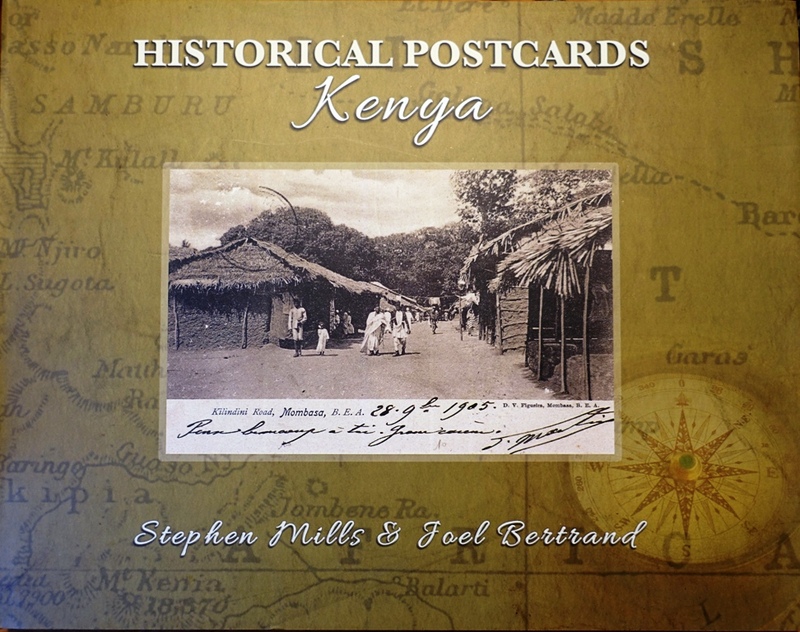 About 300 old postcards dating from early XXth century tell the story of the birth of a country : HISTORICAL POSTCARDS of KENYA, byJoël BERTRAND and Stephen MILLS. A journey in space and time though beautiful pictures taken by great photographers. A nice book for your coffee table, or for a beautiful present, available in Kenya since mid-November, and in Europe. For more detailed information, for buying your copies at the reduced price of €30 only (plus postage charges), go to Contact us. FRde Joël BERTRAND et Stephen MILLS. Un voyage dans l'espace et dans le temps, grâce aux belles oeuvres de grands photographes. Un beau livre pour votre table de salon, ou pour offrir. Disponible au Kenya depuis la mi-novembre, et aussi en Europe. Pour plus d'informations, pour acheter votre exemplaire à 30€ (transport en sus), cliquez sur CONTACT US. Available also from Amazon.com but it will be more expensive. FRDisponible aussi sur Amazon.com, mais c'est plus cher. 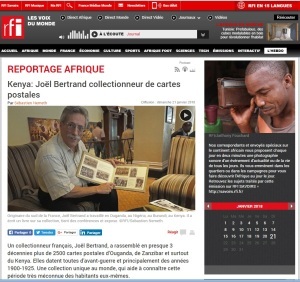 An interview in French, by the correspondant of Radio France Internationale in Nairobi, to be listened to HERE FRDiffusée le 21 janvier 2018, une interview par le correspondant à Nairobi de RFI. Cliquer sur HERE pour le lien. Opening the exhibition with Mrs Fatma Twahir, Principal Curator, Fort Jesus, and her two children. 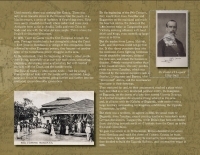 A 3mn report after the official opening of the exhibition « MOMBASA IN THE EARLY 1900s », to be listened to HERE . Watch between 5:12 and 8:25. 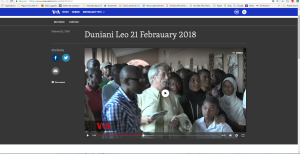 FRDiffusé le 21 février 2018, un reportage de 3mn diffusé dans le journal en swahili de VoA, à l'occasion de l'ouverture de l'exposition --MOMBASA au début du XXe siècle--. Cliquer sur HERE pour le lien. Regarder à partir de 5:12 jusqu'à 8:25. 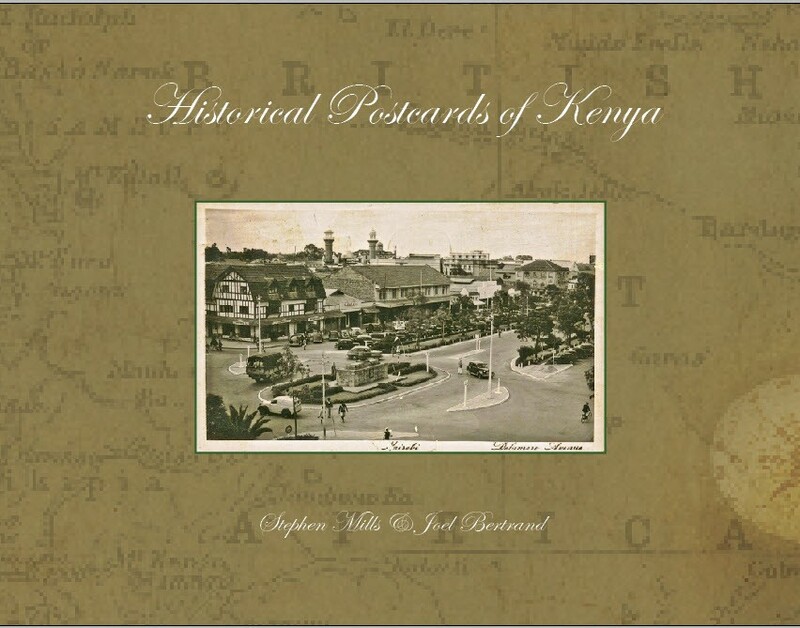 Using thousands of postcards from the beginning to the latter part of the 20th century, Joel Bertrand has compiled a virtual museum of Kenya, Uganda and Zanzibar. It can be toured on oldeastafricapostcards.com. There are many ways of telling history, and a French literature professor is using postcards to tell East Africa’s story. 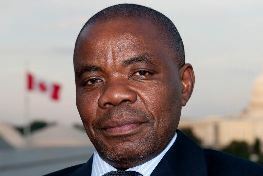 Bertrand worked and travelled in East and West Africa as a university lecturer and diplomat, and now mostly lives in Kenya. 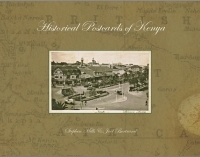 has You can read hundreds of stories from his postcards; one that he pointed out was about appreciating the speed at which East Africa has grown and modernised. “If you look at a photo of a Kisumu market in 1900 together with a supermarket standing on the same location today, compare that with a shop in England in 1900 seen with the shop on the same spot today. 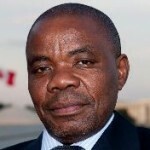 You will notice the bigger strides Africa has made in a century compared with Europe,” Bertrand writes. Indeed, a comparison of the Kampala-Entebbe “highway” in 1910 and the four lane expressway being built between the towns today is a good example of the infrastructural development that has taken place over the past century. In some cases, old is not gold. The look of the Post Office of Kampala a hundred years ago, with locals carrying packages around, is not pretty. But the stories of culture that can be read in the postcards are captivating. Arranged in galleries that can be toured though slide shows, the site is a major supplement to the political, cultural and history lessons taught in academia. 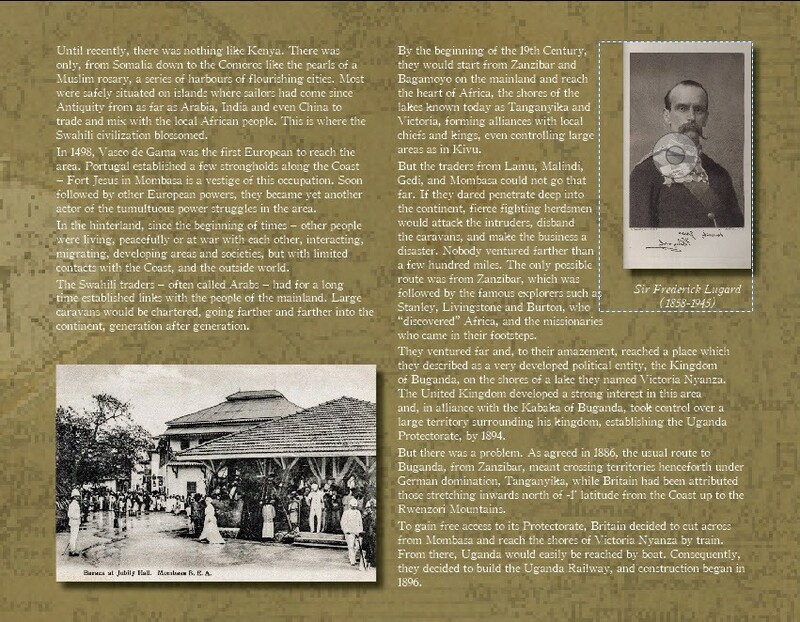 If you go to “Royals of Uganda” for example, you will find photographs of princesses with their servants 100 years ago, chiefs in their courts, and even deposed kings like Kabalega in his lonely final exile on an island in the Seychelles. The visual record shows the fast changing face of East Africa, but one place that seems to have registered little change is Zanzibar. 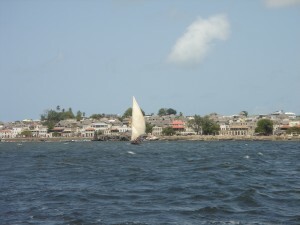 Many of the Zanzibar postcards could as well have been taken from today’s scenes. From the Indian Ocean to the Mountains of the Moon at the Congo border, the lush vegetation and wildlife that was captured by those who held the camera years ago. Dhows, coconuts, cloves, huts, big game and people are all represented. An interesting observation is the sameness of the people in the various postcards. A family in Bunyoro 100 years ago looks like a model family today, featuring a composed father, wife and three children. Many postcards show people at work or partying; they would not look out of place today, even in their manner of dress. The buildings tell many stories, as do other pictures of infrastructure like piers. The vehicles on the roads really show the passage of time; the automotive industry seems to change faster than other sectors. 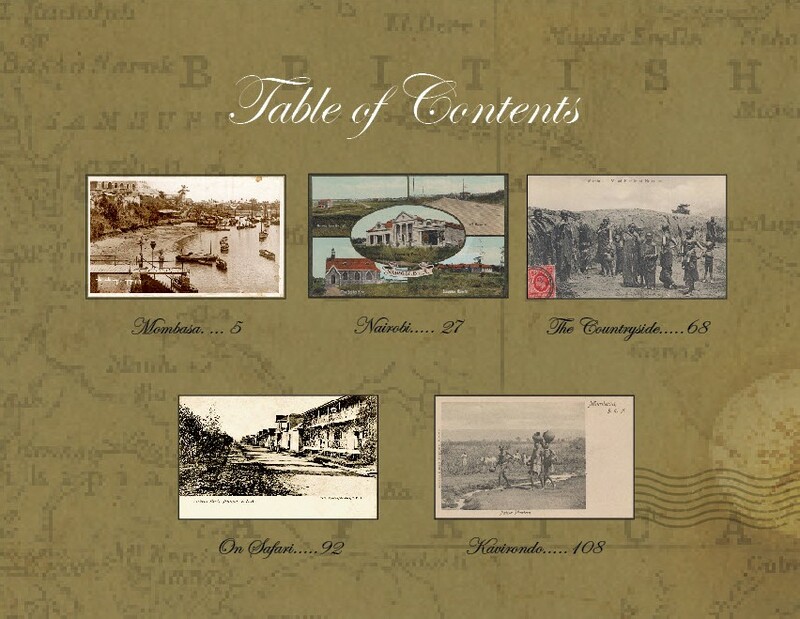 When Prof Bertrand set out to collect the postcards several years ago, he searched all over the world. He got all of them from Europe, and did not find a single one in Africa. However, this is not surprising since they were created and sent “home” by Europeans. The images tell a story without bias. This is possibly because they were made by professionals and not colonial agents. They are full of empathy and invoke pride. Even the photo of a naked African exudes energy rather than backwardness. The collection is available to everyone. 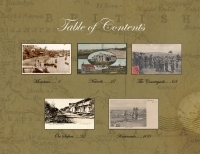 Those who wish to buy some postcards are given directions on how to. Pioneers of the postcard industry may only have had in mind travellers sending images of the places they visit to people back home. Now that smartphones and Internet apps enable people to instantly show those far lands, postcards have been given the new role of telling history. 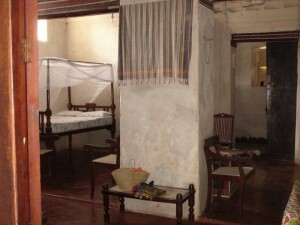 With libraries and museums dilapidated or neglected in some parts of East Africa, the website makes it possible to go on a visual East African historical journey in comfort.